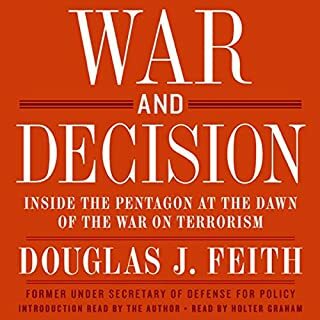 Of all the players in the planning and evolution of the Bush Administration's war on terrorism, few were more integral - or more controversial - than Douglas Feith, the chief strategist on Donald Rumsfeld's Pentagon policy team. A highly influential international policy analyst for more than a quarter century before joining the Bush Administration in 2001, Feith worked closely with officials and President Bush in defining the U.S. response to the attacks of 9/11. Very detailed insight in the real events. Looking back in hindsight on event tends to change the perception of the event. Moreover one is tempted to think that ANY other choice would have been more beneficial that the one's taken. We only experience problems from choices made, not the what ifs! This book does give a very detailed perception of one of the players. And yes it is very very plausible. If you are one of those people who think that Bush and his gang was pure evil or like a lot of Germans supported Saddam because he hated jews, maybe this is not for you. If you are willing to take a less extreme position, this is definitely a book worth listening too. But warning it is a big work, not a 4 word slogan which sounds good. 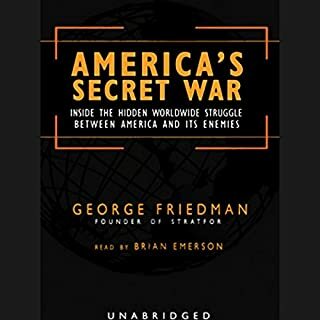 Friedman brilliantly demystifies the new flat world for listeners, allowing them to make sense of the advances in technology and communications that are creating an explosion of wealth in India and China, and challenging the rest of us to run even faster just to stay in place. 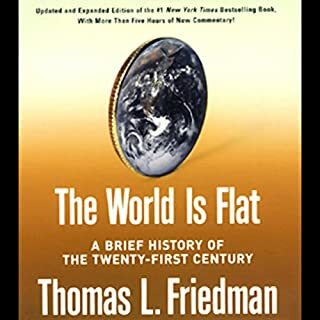 For this updated and expanded edition, Friedman has provided more than five hours of new reporting and commentary, bringing fresh stories and insights to help us understand the flattening of the world. Friedman gives a good account of current developements regarding globalization and the "flattening of the world" and the effect on the economy. The basic point of the book is that America should wake up and get flexible and educated or face doom and gloom. 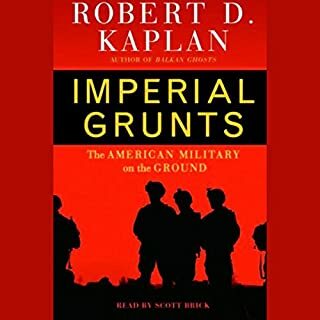 Excellent book, this book really bring into focus the problems middle management in the current US Army as well of the army of it's friends (my country). Kaplan does critically describe the role of the foot soldiers on the ground and what the political/media influence on this. I don't think there is another book that goes that deep. It also gives a look how the embedding functions in the US Army. Altough political correct the story is not, It does tell a yet untold story. 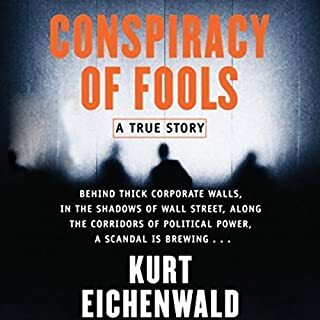 Say the name 'Enron' and most people believe they've heard all about the story that imperiled a presidency, destroyed a marketplace, and changed Washington and Wall Street forever. But in the hands of Kurt Eichenwald, the players we think we know and the business practices we think have been exposed are transformed into entirely new, and entirely gripping, material. Conspiracy of Fools is an all-true financial and political thriller of cinematic proportions. Being a European I never heard of Enron before the collapse, this was very interesting. The book chronicles Lay's en Enron's history from the seventies. It focuses very much on culture, personality conflict and the SEC rules. I am really impressed by the ability of the writer to explain the accounting rules like mark to market/raptors in common sense. Altough it still might be bewildering (or boring) if you have no accounting background. I personally found the unabridged version a real "page turner". The author really proves the point the title makes out, who were you kidding. The author also reevaluates some of the media assertions at the time of the scandal. With some of the investigation still proceeding I am really impressed by the excellent quality of the work in uncovering the sources. Compared to it's big competitor the Disneywars, this is definately more focused on broader accounting rules and procedural implications. Disneywars is more focused on personality conflicts as such. Both are books I would recommend (if you like the subject). 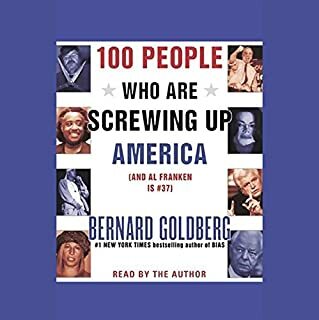 Bernard Goldberg takes dead aim at the America Bashers (the cultural elites who look down their snobby noses at "ordinary" Americans and detest so much of what this country is about); the Hollywood Blowhards (incredibly ditzy celebrities who think they're smart just because they're famous); the TV Schlockmeisters (including the one whose show has been compared to a churning mass of maggots devouring rotten meat); the Intellectual Thugs, and many more. Some good points (really), kinda partisan. Yes, the writer does have some good points, people are not biggots for not liking Janet Jackson desperate attempt to sell a few extra CD's with her superbowl performance. The book is somewhat funny and yes it isn't purely conservative. It does point to some people I never heard of and some who for the sake of there career quite happily pretend to be principled. The book writing style is like the top 100 music list starting from 100, 5 of these in a row are funny. Listening to the full 100 cast is definately tedious. (the person who thought hurricanes should have more "black" names was funny and insightful, I never knew there was such a thing as a "black name"). Al in all a great book if you want to work yourself up(being a liberal) or get some cheap shots(if you're conservative). A mildly funny, somewhat informative original list if you're none of the above. Hopefully this helps you on deciding a bit. Fantastically narrated but a bit outdated? 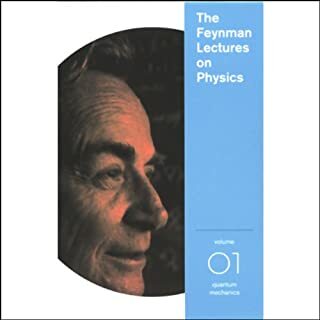 Having never heard of Feynman (being an "ignorant" non Physicws European)I downloaded the book anyway based on te brilliant reviews. True the lectures are very interesting and absolutely awesome. The lectures do keep you "glued". I did learn a lot. One point of critique, these lectures are over a 40 years old, which might diminish some of the value and sometimes Feynman obviously scratches formulas on the board. He speaks out the formula but it is still a bit hard to follow. Thus in my experience some "written" backup material is excellent. I very much recommend this book, just keep the limitations in mind when deciding to buy. Stephanie Plum may not be the best bounty hunter in beautiful downtown Trenton, but she's pretty darn good at turning bad situations her way...and she always gets her man. Her cousin Vinnie (who's also her boss) has posted bail on Samuel Singh, an illegal immigrant. When the elusive Mr. Singh goes missing, Stephanie is on the case. 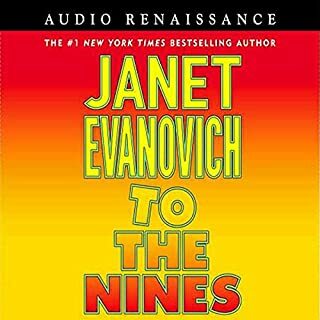 In a race against time that takes her from the Jersey Turnpike to the Vegas Strip, Stephanie Plum is on the chase of her life. What makes the Stephanie Plum series excellent is the fantastically funny and wild characters of the series. Plum is a bounty hunter but the kind that keeps a gun in the cookie jar seem to run into accidents. As far as narration is concerned, Lorelei King does an excellent job, altough Lori Petty is still my favorite. This book is definately a classic and tells the story of the men who sacrificed to deliver us from the German occupation. Living in Eindhoven, the Netherlands which was liberated by the 101st this book for me was very touching. 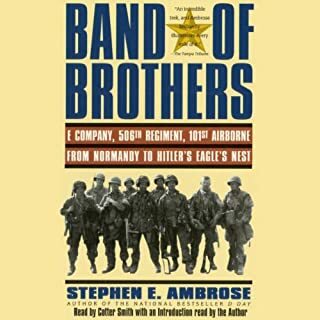 Well narrated, well written, it tells the personal story of the men who fought and died to fight the Nazis. Too bad there isn't an unabridged audio version.! If you buy this book to discover secrets in the secret war you probably won't find them. The book doesn't really reveal any new facts (read Charlie Wilson's war for that!). What the book does is take a step back and examine the motives, tactics and strategies involved. The book does point out the US sucesses AND mistakes as well as the Al-Qaida successes and mistakes. In this sense it is a welcome refresher after the Coulters(liberals =bad) , Michael Moores and German WW2 revisionists (Bush = bad, everybody else is good). In this respect the book did a great job at actually trying to be objective. When reading this a lot of puzzles pieces of the last few years fell into place. It offers reflection on all the stacks of "breaking news" we endure every day. The book does focus very much on 09/11, Afghanistan, Iraq and lacks in describing the other "battlefields". Like the Philippines, Nigeria, Western Europe , Bosnia, Kosovo, Global shipping, global finance etc. etc. In that way the book lacks a bit the unprecedented broadness of the war.